Child-proofing is pain free with the Ouchlet! Keep your plugs safe with this whimsically designed outlet covers. Four bandaged-shaped covers come with each pack. 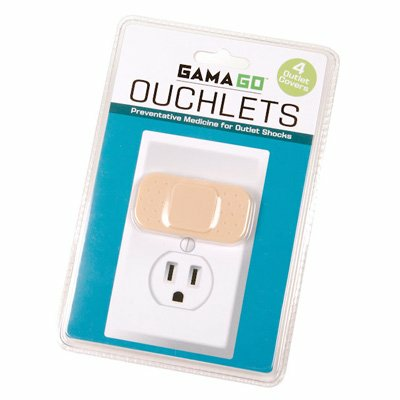 Preventative medicine for outlet shocks.